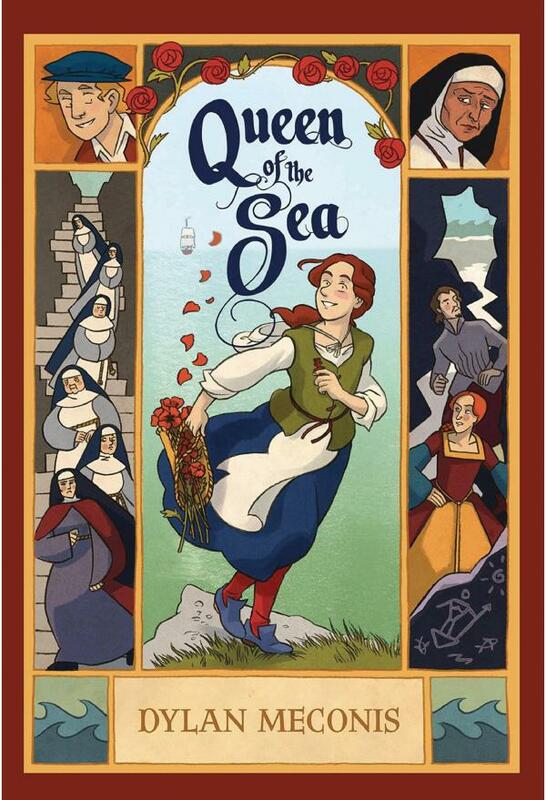 When her sister seizes the throne, Queen Eleanor of Albion is banished to a tiny island where the nuns of the convent spend their days peacefully praying, sewing, and gardening. But the island is also home to Margaret, an orphan girl whose life is upturned when the cold, regal stranger arrives. As Margaret grows closer to Eleanor, she grapples with the revelation of the island's sinister true purpose as well as the truth of her own past. When Eleanor's life is threatened, Margaret is faced with a perilous choice between helping Eleanor and protecting herself. In a hybrid novel of fictionalized history, loosely based on the exile of Queen Elizabeth I by her half-sister, Queen Mary, Dylan Meconis paints Margaret's world in soft greens, grays, and reds, transporting readers to a quiet, windswept island at the heart of a treasonous royal plot.